I am very excited to share the news that this limited edition pendant is now available to order. 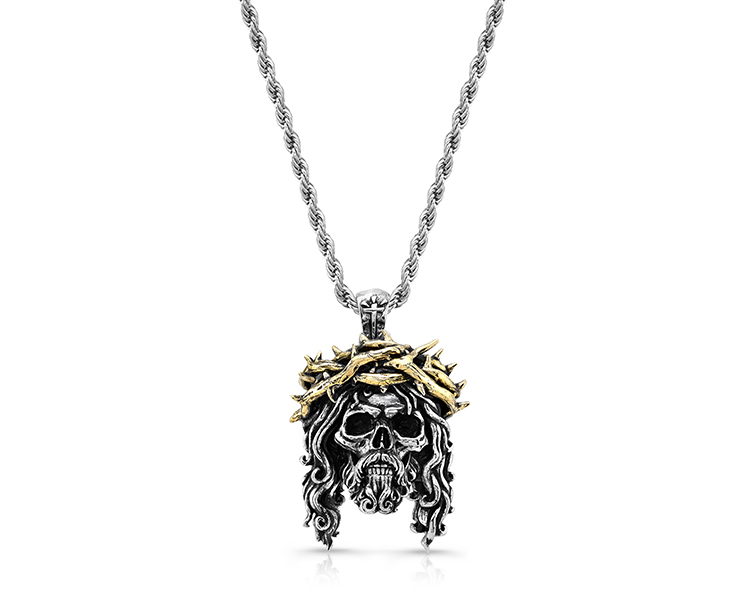 I saw this in the flesh at the London Tattoo Convention this past September and was blown away. 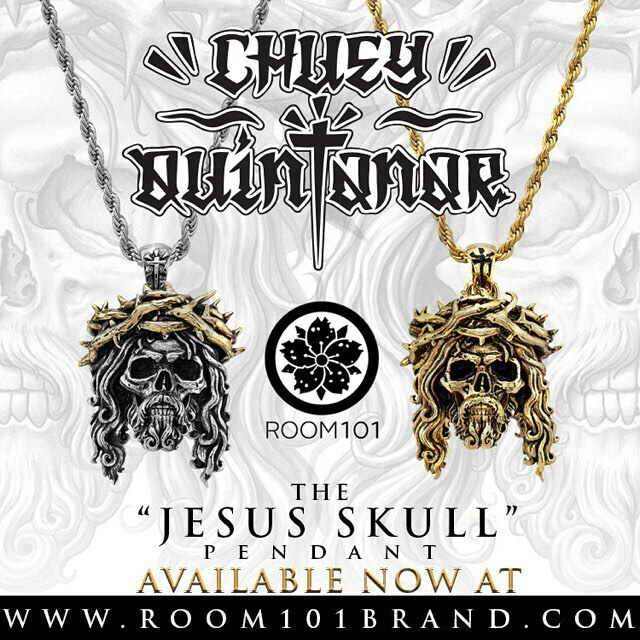 I love Chuey's work and Room 101 have excelled themselves by converting his Jesus Skull design into such a striking piece of jewellery. 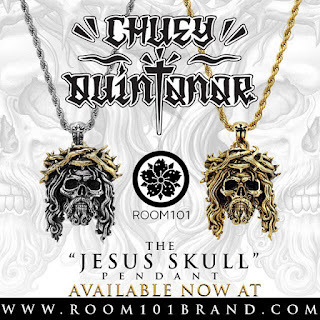 This is the first in a two part collaborative series between tattoo artist Chuey Quintanar and Room101. 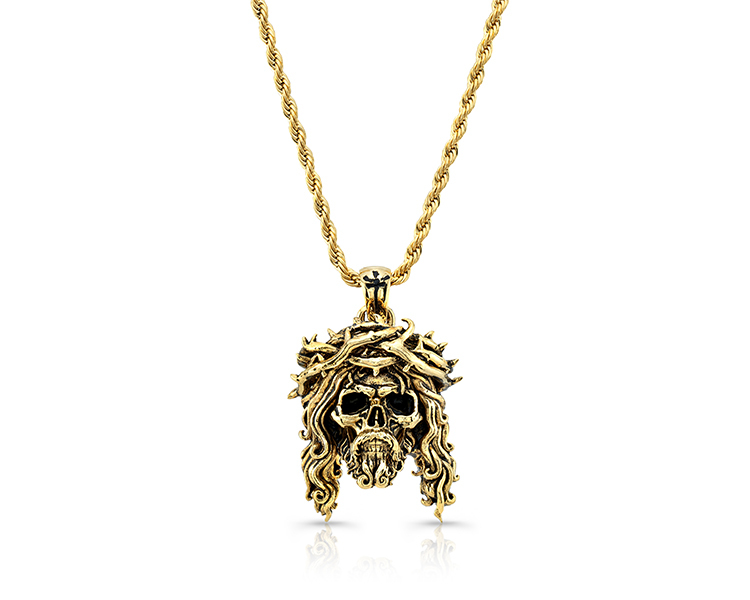 The Skull Jesus pendant is available in both Gold Vermeil over stainless steel and a two tone Gold Vermeil and polished stainless steel variant. 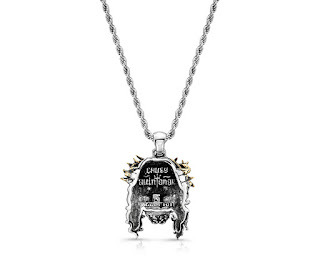 Each pendant will come on corresponding rope style chain in 24in. Sold in Gold Vermeil and Two-tone separately, or at a discount when purchased together. Perfect as a gift for a friend and yourself in one hit. 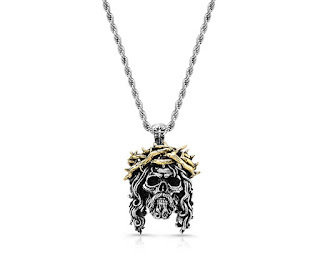 The image of Jesus as a skull with the crown of thorns initially gave me pause when I first saw it on Chuey's t-shirts, but my feelings have long since changed and I've placed my order. News of the release is spreading on Instagram and with the Worldwide respect both Chuey and Room101 command these are not likely to be available for long. 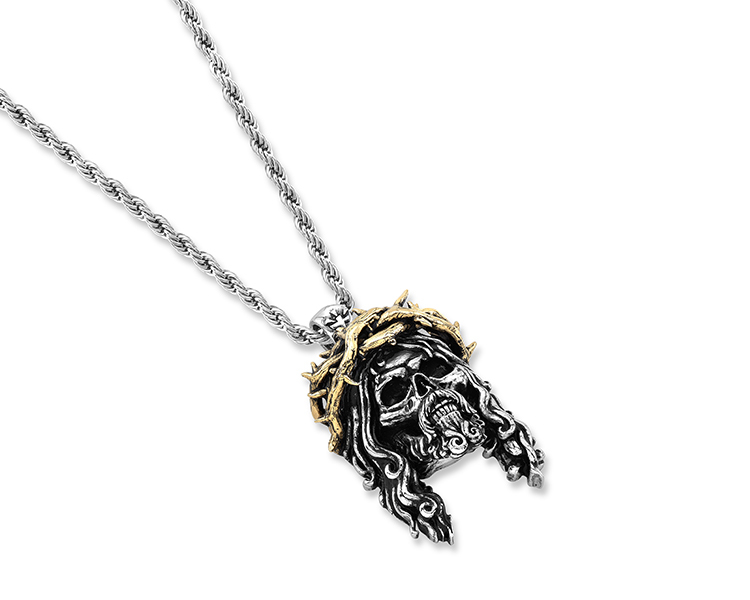 Order yours HERE and for customers outside of the USA the international shipping cost is unusually affordable.